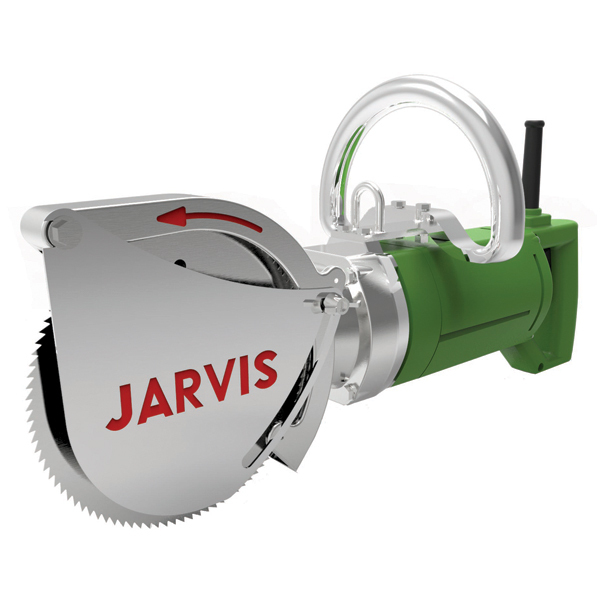 The Jarvis Model SEC 180-4 electrically powered circular breaking saw. – Pork ribbing, ham marking, shoulder marking and removing contaminated back bones. • Double insulated electric motor for ultimate performance. • Lightweight and flexible – suitable for rail or table. • Adjustable to 2.6 inches (66 mm) maximum depth of cut.